The chairman of the National Infrastructure Commission has said Brexit and the hung parliament must not lead to ‘dither and delay’ on key infrastructure challenges. In a speech on Monday, Lord Andrew Adonis, a former transport secretary, set out 12 top priority infrastructure projects that he said form an ‘acid test’ of the Government’s commitment to a ‘jobs first Brexit’. They include Heathrow expansion, HS2 and HS3, the new Thames crossing, digital and broadband roll-out and new electricity generating capacity. He added: ‘Brexit and the hung parliament must not lead to dither and delay on the key infrastructure challenges facing the country. We need to press on with decisions on Heathrow, HS2 to the North of England, new electricity generating capacity, and radical improvements to digital communications, to underpin jobs and economic growth. 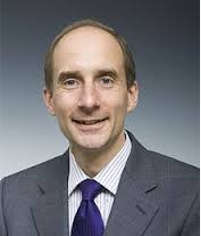 Lord Adonis was backed by the Confederation of British Industry, the British Chambers of Commerce and the Federation of Small Businesses. Election fallout: Will transport schemes be hit?